But what can a householder do? With everything from lighting to phones and kitchen appliances reliant on electricity, this energy is part and parcel of modern day living. But we needn’t go back to medieval lifestyles and stop using it altogether to beat the utility companies (though the companies themselves appear to doing a convincing impression of the evil barons from that era). The answer is simple. Look to the heavens for inspiration. No, not that far. To the sun, and more specifically the huge amounts of untapped energy it provides. A solution that more and more people are taking and one that means, if you get it right, you can break free from the energy companies altogether and live a life off grid. That’s what a growing worldwide movement of people are discovering as they unplug from electricity network and tap into a limitless source of power from the sun’s rays. This burgeoning movement has been gathering momentum since alternative energy sources first began to be discussed and developed by communities more driven by ideological belief than financial streamlining. 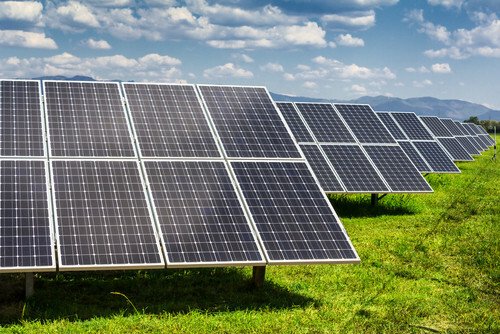 Today, with the price of renewable energy equipment such as solar panels within easy reach of the domestic user, it’s an option that’s not just attractive to the environmentally friendly but also the budget conscious. Simply put, an off grid solution provides complete autonomy and independence from the national grid, storing energy in batteries for use at night and other times when the solar panels are not generating as much electricity as you require. They are often supplemented by a small domestic wind turbine and generator when the panels or batteries are not providing enough power to meet the home’s energy demands. In fact, according to a recent Guardian article on off-grid living, there has been a sharp rise in the number of people living off the grid. Over the last few years in America, for example the number is estimated to have risen from under a million five years ago to over two million today. So, how does it work in practice? The answer can be found with some of the many off gridders sharing their experiences online. “The system capacities are as follows: Panels - 1720 Watts; Inverter – 4000 watts; Battery Storage – 1160 Amp Hours or 22 Kwh Storage which means about 3 days for us because we don’t like our batteries to go below 60% capacity (I actually don’t usually let them go below a 30 percent discharge or 70 percent capacity). Inside the house we have a Trimetric Reader that allows us to see what our electrical usage is at all times and what state our battery capacity is at. It also helps to track how long it has been since our batteries were charged to 100% and how long it has been since we equalized our batteries, which for me has to occur once a month. In this country, many other people are making the switch, too. Campaigner, activist, author and off grid dynamo Nick Rosen has been pioneering off grid living for many years. He’s not just written books on the subject, but also edits the popular a website off-grid.net and has become the go-to guru for the movement in the UK. So, whether you’re an eco-warrior or canny consumer, maybe now is the time to consider going off grid and unplugging from the network whilst tapping into a greener and cheaper way to power your home. A modern solar system is sophisticated enough to run by itself and the only thing you really have to worry about is battery maintenance if you have a battery storage system as part of your package. The power centre manages the flow of power and converts the solar electricity for use in your building or storage in the batteries. Storing energy for use at night, or for times that the solar panels are not generating as much electricity as you require. Such as a generator or wind turbine to provide power in case your batteries run down.